There are very few items left in Ross marking the route of the railway. The site of the station was redeveloped in 1977 by South Herefordshire District Council and turned into a industrial estate. A few of the remaining items are noted on the next couple of pages. 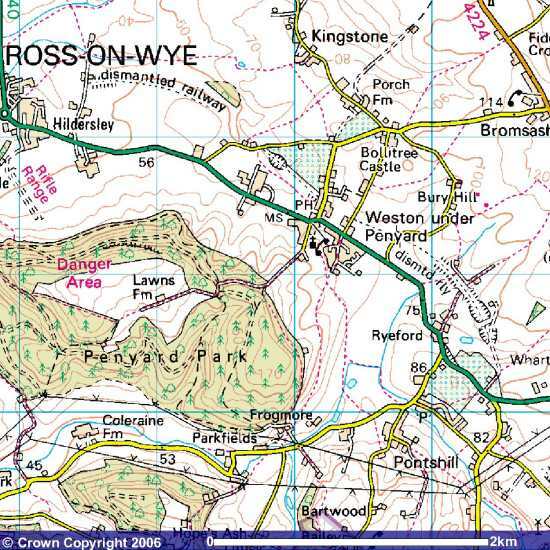 The remains of the line to the east and south of Ross-on-Wye towards Gloucester and Monmouth can be seen on current maps. 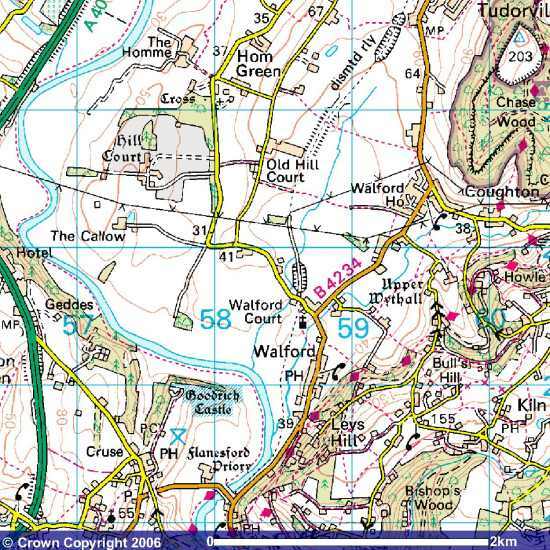 The line going east towards Gloucester can be seen going through Weston Under Penyard, north of Ryford and sweeping around to go South of Lea village and on to the tunnel at Lea Line. The line going south towards Monmouth can be seen going out of Ross to the west of Tudorville, past Old Hill Court, down into Walford and on towards the river Wye and Kerne Bridge.